However, the former Arsenal and Barcelona forward has scored just one goal in seven appearances in all competitions for Jose Mourinho's team. 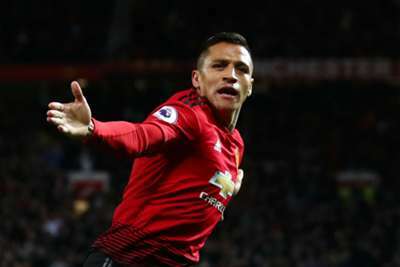 Sanchez sat out Friday's 3-0 defeat to Peru in the United States due to visa issues but is available to face Mexico on Tuesday, and Rueda is keen for him to make a goalscoring impact with Chile having found the net just seven times since he took charge in January. "I talked with him about that. What we want is that we hope his experience and ability can contribute to the team with his share of goals," said Rueda. "And the important thing is that other players also score goals. The forwards have changed because they have not been in a good moment. "Alexis is a benchmark, an elite player and he always enjoys being with the national team, joining his team-mates and getting to know the younger ones. "We hope he has a good game because we know that he has also had difficulties with his club. He has not had the continuity that we all expected for one reason or another."